Utah Might 5. National Park. parks. by JG Walker. Recently published in the Fall 2016 Magazine. “The Mighty 5” isn’t a new action hero movie that the grandkids are clamoring to see. 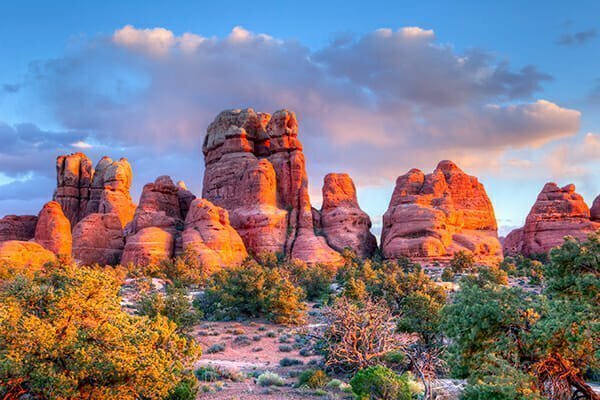 It’s the muscular nickname for an awe-inspiring collection of five national parks in southern Utah that will have you and the grands gasping in delight. Luckily for us all, some of the most unique natural monuments and spectacular high-desert vistas to be found anywhere in the world have been protected here for current and future generations to enjoy. All of The Mighty 5 National Parks of Utah have on-site campgrounds, and some have guest lodges located within the parks. Each has its own Junior Ranger program designed to inspire and educate kids of all ages about the region’s geology, flora and fauna, as well as its human history from the original Native American inhabitants to the hardy frontier pioneers who settled, but never tamed, this beautifully wild land. So whether you’re thinking about an autumn adventure with the grandkids this year or planning ahead to the spring and summer vacation seasons in 2017, don’t overlook Utah’s Mighty Five. 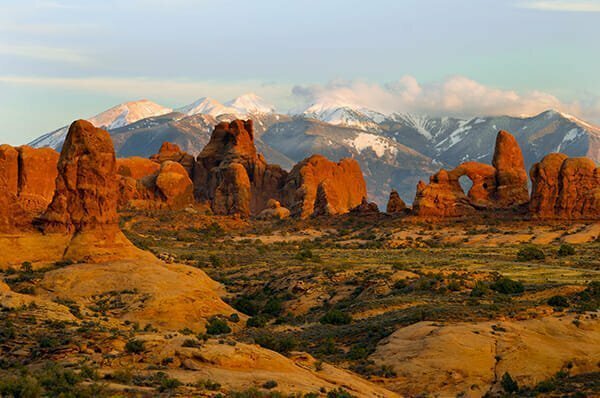 Arches National Park is home to more than 2,000 rock arches and pinnacles that have been carved from the native sandstone by wind and rain over millions of years. The park features 14 trails that range from easy 20-minute walks to challenging hikes of more than seven miles of sculpted landscape. 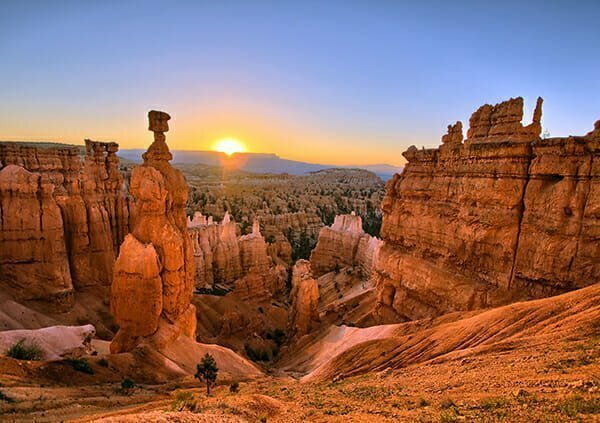 Bryce Canyon National Park features a rich diversity of scenic wonders, from geologic highlights like “Thor’s Hammer” and “The Amphitheater” to pocket canyons that serve as an unspoiled habitat for Pronghorn antelopes, prairie dogs, and eagles. The ranger-guided programs include spectacular hikes along the Rim Trail and special evening explorations beneath the starry skies. Canyonlands National Park has more than 300,000 acres of buttes and valleys carved by the Green and Colorado river systems. The Native American rock art panels in Horseshoe Canyon and river rafting beneath soaring rock formations are but two of the park’s highlights. Capitol Reef National Park offers more than 200 miles of hiking trails and off-road vehicular tours that take you to the park’s most photogenic sites. Rock climbing, bicycle tour, and horseback excursions are among the other activities that visitors can enjoy. 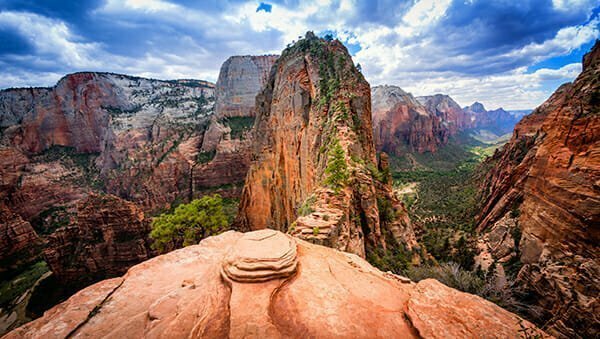 Zion National Park is 230 square miles of scenic delight that includes colorful mountainsides and vibrant hidden ecosystems. Take the ranger-guided hike on the Zion Narrows Trail along the Virgin River or view the park’s wonders from the comfort of your car on the Zion Canyon Scenic Drive and the Zion-Mount Carmel Highway. All of “The Mighty Five” are managed by the National Park Service, and you can find out more about them at NPS.gov/Utah. 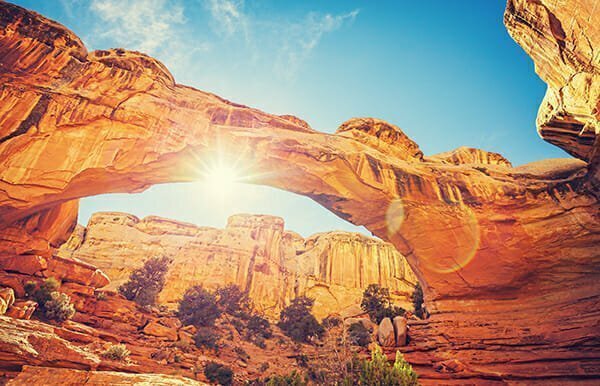 The state’s official tourism website—VisitUtah.com—is another great resource for planning your trip, with information about other area attractions and weather conditions, plus links to a variety of accommodations choices near the parks in friendly southern Utah towns like Moab, Cedar City, and St. George.